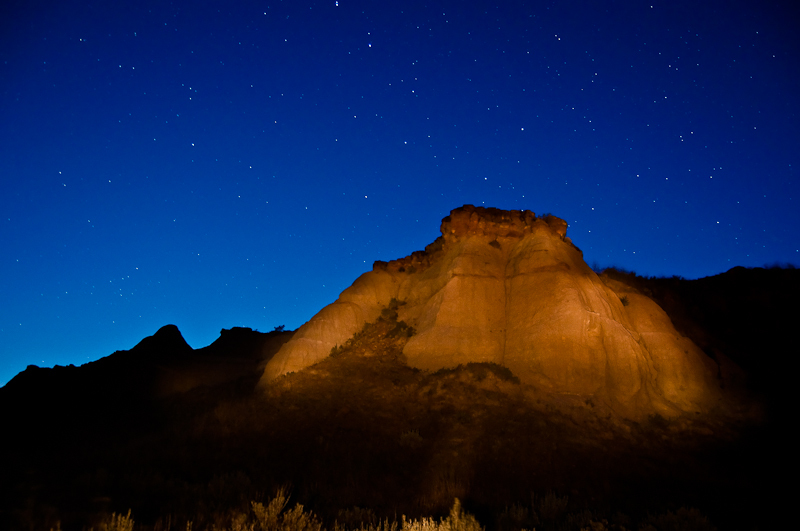 Light painting in Dinosaur Provincial Park was a lot of fun. I had another image that I entered into the City Nightscape challenge that was taken later with more stars and a darker sky. Yes the City Nightscape. Not the Rural Nightscape. That would have made sense! Beautiful sky and nice color. Love the colour of the sky and the contrasting rocks, the little bit of light foliage at the bottom edge I find distracting and would have been tempted to crop out or burn in. Absolutely beautiful. Love this picture. Proudly hosted by Sargasso Networks. Current Server Time: 04/24/2019 09:50:12 AM EDT.